26th match of 2015 ICC Worldcup has been played between Australia and Afghanistan at WACA Ground, Perth today. Putting into bat first by Afghanistan, Australia made highest total of 2015 ICC worldcup 417/6 at the end of 50 overs. Da Warner's 178 runs, SPD Smith's 95 runs and GJ Maxwell's super quick 88 runs of 39 balls were main attractions of Australia inning. Afghanistan team all out scoring 142 runs and lost the match by very huge margins of 275 runs. DA Warner declared man of the match for his brave inning of 178 runs. Earlier, Afghanistan won the toss and put Australia into bat first. Australia could not made batter start and lost AJ Finch cheaply on 14 runs team score. 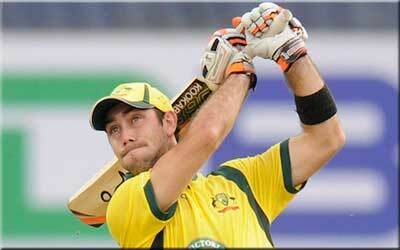 SPD Smith joined with DA Warner and played superb inning for Australia. Both added 264 runs for 2nd wicket before Warner lost his wicket scoring huge 178 runs of 133 balls. SPD Smith also contributed 95 runs. In later overs GJ Maxwell played super fast inning of 88 runs of just 39 balls with 6 fantastic fours and 7 massive sixes Australia managed to put huge score of 417 runs for Afghanistan in 50 overs. Following very huge target of 418 runs, Afghanistan surrender against Australian fast bowlers and managed to score 142 runs in 37.3 over and lost the match by very huge margins of 275 runs. Nawroz Mangal 33 and Najibullah Zadran 24 were top swcorer for Afghanistan.